The guided-missile cruiser USS Princeton arrived at Naval Weapons Station Seal Beach on Tuesday for a port visit to mark the 75th anniversary of the base. 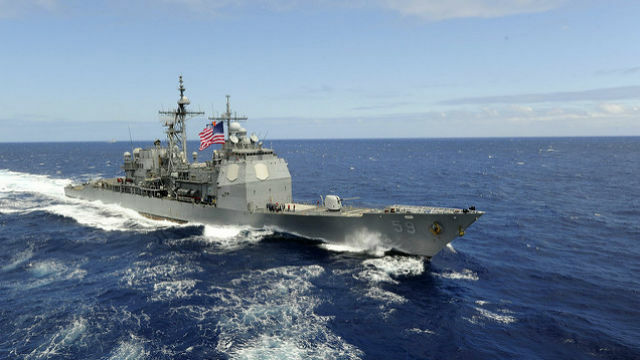 Over the weekend of March 23-24, the San Diego-based ship will be open for public tours to honor “the outstanding support” that the base in Orange County has provided to the Navy. “We are greatly privileged to have the opportunity to showcase our outstanding sailors, and one of the Navy’s finest warships to our fellow citizens in Seal Beach and the surrounding area,” said Capt. Justin A. Kubu, the warship’s commanding officer. Naval Weapons Station Seal Beach is the Pacific Fleet’s premier ordnance loading and storage installation. The base provides munitions for a majority of the fleet’s surface ships, loading approximately 40 vessels annually.